FarmVille has released a new building that will hold those mystery seedlings the Mystery Seedling Nursery. 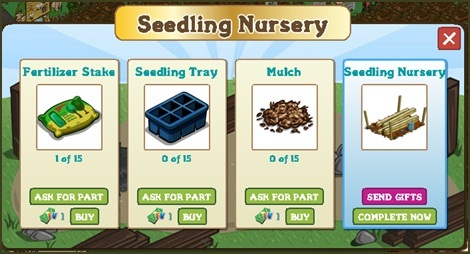 Players can now keep track and make the mystery seedling organize in one place plus it can be harvested for Water. 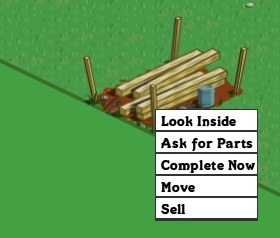 Players can also monitor how many water a seedling will need to grow it into a tree. 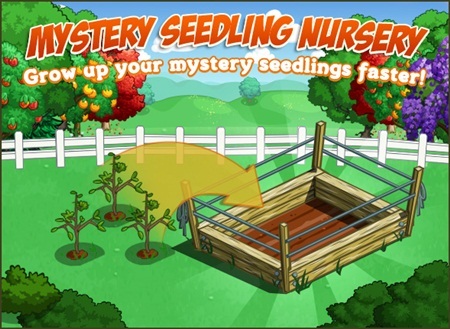 There is three building stages for the Mystery Seedling Nursery and it can be upgraded 3 times. The more upgrade it will have the more Mystery seedlings it can hold. At first it will hold 20 then 30 and finally 40 seelings. The Mystery Seedling Nursery can also be harvested for Water once a day.